A warm welcome from Little Treasure Day Nursery, we are under new management; the team and I are looking forward to your child starting at our nursery soon! I am sure you will be comforted to know that we have many policies and procedures which ensure that all children are safe and secure, happy and are supported to develop as individuals whilst in our care. These are in place to support the team so they can provide a fantastic environment, and days filled with fun for your child, whilst also ensuring that things are done properly and meet legal requirements. 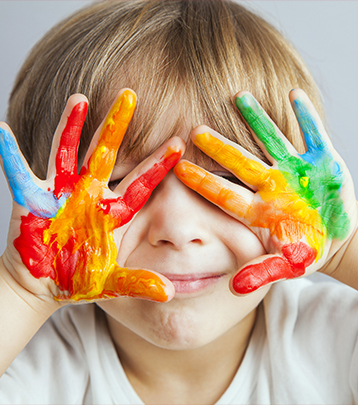 By no means is this another generic "tick box" company; at Little Treasure Day Nursery, we work cooperatively, creatively, and with common sense. We aim to provide a partnership approach to caring for your child, and actively encourage your involvement and feedback at all times. My team and I would appreciate it if you could take the time to read and familiarize yourself with Little Treasure's policies and procedures. Please feel free to contact us at any time if you have any queries, questions or concerns. It is very important to your child that we work in partnership. This will give your child continuity of care, and ensure that they will not become confused with different standards, behaviour or boundaries. As parents, you are the central adults in your child's life, and the ones making decisions on their behalf. 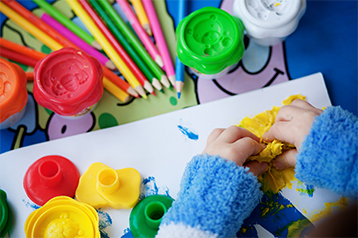 At nursery, we will endeavor to work closely with you in order to carry out your wishes for your child wherever we can. It is, therefore, important that we have an excellent communication system. Little Treasure will try to give feedback each day your child is with us, to keep you up to date with what your child has eaten, the number of nappy changes, and all activities they have experienced during the day. If you would like to change any Little Treasure routine, snack, food and so forth, then please discuss this with your key person, or any senior staff. Little Treasure is always happy to discuss your child and their care with you at any time that is convenient for you and available for a senior member of staff, whether in person or over the phone. Little Treasure would also appreciate it if you could inform us if there are any changes in contact details, such as telephone or living address, for yourselves, including both work, mobile and emergency contacts for other authorized adults who may have care of your child. As your child grows and develops, issues will crop up that are very important for nursery to discuss with you, pertaining to your child's developmental needs, and, in order that we can work together and for your wishes be incorporated into any care routine for your child, we will hold regular parents' evenings, discussions with your child's key person, and have leaflets available for many common issues. For example, these could include potty training, managing challenging behaviour or moving up to school. 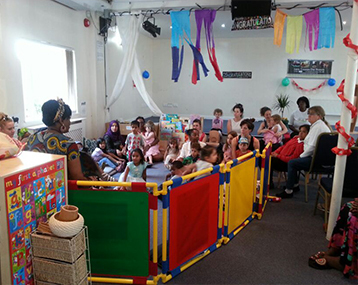 If Little Treasure has any concerns about your child's behaviour, development, eating etc. we will share them with you, and if necessary, work with you to seek support from external agencies. If you wish to incorporate a special activity into your child's routine - perhaps a festival, or religious holiday that you celebrate- please let us know. If you have any concerns or issues regarding the care we are providing for your child, please do let us know. Often a concern is a simple misunderstanding that can easily be resolved; unaired, it can fester and become a major issue. Little Treasure is very much looking forward to working in partnership with you to care for your child.